We are thrilled to collaborate this season with the Chicago Composers' Consortium! On Sunday, May 6 at 2:30pm we will perform the winning piece from the C3 Lakeshore Rush International Score Competition (Amos Gillespie's Spanish Speakers) in addition to other great new works for Pierrot plus percussion ensemble by C3 member composers. Guest performers: violinist Henry Zheng and percussionist John Corkill. Free and open to the public! Donations accepted. I'll be joining the Symphony of Southeast Texas on 2nd flute/piccolo for their "Symphony at Shangri La" concert on Sunday, March 25 at 5pm. Looking forward to performing this fun outdoor concert in such a beautiful location! Cellist Christopher Ferrer and I will be performing in a showcase at this year's Texas Music Educators Association Convention in San Antonio on Thursday, February 15 at 9:30am. Works include Heitor Villa-Lobos Jet Whistle and the world premiere performance of Joshua Hintze's Coureur des Bois. SOST - Classics Series 3: "The Elegance of Elgar"
I look forward to joining the Symphony of Southeast Texas in "The Elegance of Elgar" concert on Saturday, February 10 at 7:30pm in Beaumont's Historic Julie Rogers Theatre. Don't miss a fantastic performance of Copland's Fanfare for the Common Man, Liszt's Piano Concerto No. 1 with soloist Tomoko Kanamaru, and Elgar's Enigma Variations! I had the great pleasure of joining 91.3 KVLU's Behind the Music host Joe Elwell in the studio recently to record my third show. Our focus was Dr. Kirstin Ihde and my transcription and recording of Marin Marais’ Suitte d’un Goût étranger for flute and keyboard. Listen to the broadcast on Sunday, January 14, 2018 at 12pm CST!! Thank you to Dr. Jennifer Wilhelms for the invitation to work with your talented flute studio! The workshop will open with our performance together of the first movement from Telemann's Sonata in A Major for Two Flutes. Next, we'll focus on long tone warm-ups, flexibility exercises, arpeggio vocalises, tunes in various keys, and technical finger exercises. Gain inspiration to improve your practice sessions in the New Year! 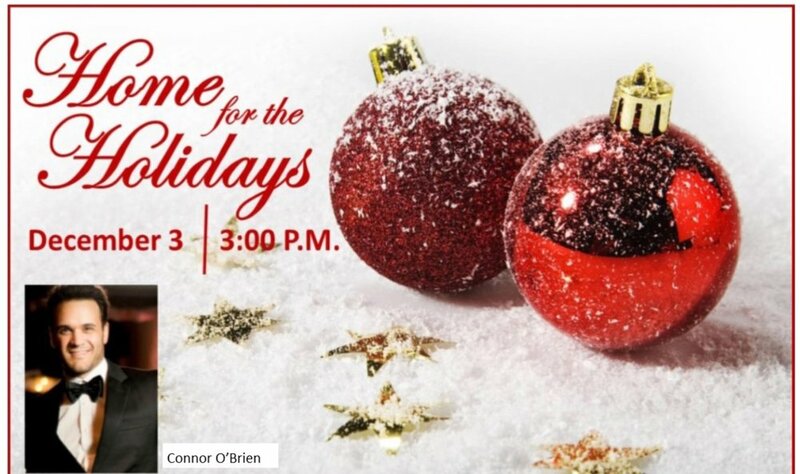 I look forward to joining the SOST on 3rd flute and piccolo for their "Home for the Holidays" Concert on Sunday, December 3 at 3pm in the historic Julie Rogers Theatre in downtown Beaumont. It's always a fun concert! Grab your tickets while you can! We are happy to return to the R.C. Miller Branch of the Beaumont Public Library for a free community chamber music performance on Thursday, November 30 at 6pm! Harpist Charlotte Mizener, clarinetist Gary Mizener, flutist Jennifer Shannon, the LU Flute Ensemble, and I will perform solos, trios, and large ensembles composed by Eric Ewazen, J. Haydn, G.B. Martini, Ricky Lombardo, Shostakovich, and Telemann. Our program will conclude with a holiday medley. Come join us for "Sounds of Sharing"! I look forward to giving recitals and masterclasses at UTRGV on Sunday, November 19 at the Brownsville campus and Monday, November 20 at the Edinburg campus with pianist Dr. Jacob Clark. Our program will include Mel Bonis' Pièce, Kenji Bunch's Velocity, César Franck's Sonata in A Major, Katherine Hoover's To Greet the Sun, and Albert Roussel's Joueurs de Flûte. Special thank you to Dr. Krista Jobson for inviting us!! My article "Troubleshooting Flute Tone" published recently online! Pianist Dr. Jacob Clark and I will kick off our South Texas tour with a faculty recital in LU's Rothwell Recital Hall on Monday, November 6 at 7:30pm. Our program will include Mel Bonis' Pièce, Kenji Bunch's Velocity, César Franck's Sonata in A Major, Katherine Hoover's To Greet the Sun, and Albert Roussel's Joueurs de Flûte. Lakeshore Rush announces its fourth season, which will open on Friday, November 3, 8pm at the Merit School of Music's Gottlieb Hall. Chamber works for flute, clarinet, cello, and piano by Debussy, Dutilleux, Grier, and Muczynski. Other performances this season will take place at Roosevelt University's Ganz Hall and the Fine Arts Building, among others. We are thrilled to collaborate with the Chicago Composers' Consortium, which will include a score competition. More information can be found at: C3 Call for Scores. Stay tuned for more event details soon, additional performances, and announcements about our featured guest artists! I will perform Yuko Uebayashi's Le Vent à Travers Les Ruines in memory of flutist Robin Fellows at the 2017 NFA Convention in Minneapolis, MN on Friday, August 11 at 2:30pm in Grand Ballroom A at the Convention Center. Please join me at this important concert in tribute to those we have lost. I'll be joining host Joe Elwell in the 91.3 KVLU studio again to record a Behind the Music show on the always interesting "Pierrot Plus Percussion Repertoire". The show aired on Sunday, August 20 at 12pm and opened with the live recording of Lakeshore Rush performing Radiohead's Videotape (arr. Dane Crozier)! I'm looking forward to joining pianist Don Neidert in performing special music selections in the Sunday, July 23, 10:30am Sanctuary Service at Charlevoix’s First Congregational Church. Works will include Jacques Larocque's arrangement of Claude Debussy's Beau Soir and the second movement of Francis Poulenc's Sonata for flute and piano. Benjamin and I were married in the same church in 2005 and it's always fun to go back for a visit! Lakeshore Rush will return to PianoForte Studios for a performance on Friday, June 2, 2017 at 8pm. Program will include works by Mason Bates, Max Bruch, Pierre Jalbert, Marc Mellits, Astor Piazzolla, Arvo Pärt, Steve Reich, and Bill Ryan. We hope you can support us in person or stream our performance live! I can't wait to join host Joe Elwell in the KVLU studio on Friday, May 26 to record a Behind the Music show on "The Music of Vivian Fine". Our show aired on Beaumont's 91.3 KVLU on Sunday, June 25 at 12pm! I'm excited to perform award-winning Chicago-based composer Lita Grier's Renascence concertino with the Ravenswood Community Orchestra at Chicago's DANK Haus on Saturday, May 20 at 7:30pm. Other works on this all-American program will include Samuel Barber's Knoxville, Summer of 1915, Aaron Copland's Rodeo, and a premiere of Kelsey Green's Meditation by Tangleweed. Admission is free and open to the public. For more information, visit www.dankhaus.com. I look forward to giving a lecture-performance for Tau Beta Sigma's Women in Music Speaker Series at Lamar University on Thursday, April 20 at 7:30pm in the Wiley Rehearsal Hall. Lakeshore Rush is excited to return to the Merit School of Music in Chicago for a performance on Saturday, March 18, 2017 at 11:50am in Gottlieb Hall. Program will include works by Max Bruch, Pierre Jalbert, Marc Mellits, Astor Piazzolla, and Bill Ryan.